During your pregnancy eating healthy is more important than ever. Without a doubt, a nutritious, well-balanced diet can be one of the first and best gifts you can give to your developing baby. Protein: It is critically essential for the body as it ensures proper growth of the fetal tissue, including the brain. It also helps with breast and uterine tissue growth during pregnancy and plays a major role in increasing blood supply, allowing more blood to be sent to the baby. Sources: Lentils, paneer, green peas, dals, beans, chicken, salmon, nuts, peanut butter, cottage cheese. Calcium: It helps build your baby’s bones and regulates body’s use of fluids. Sources: Milk, yogurt, cheese, cabbage, tofu, eggs, pudding. Folate: Also known as folic acid, this drug plays an important part in reducing the risk of neural tube defects. This is a major birth defect that affects the baby’s brain and spinal cord, such as spina bifida and anencephaly. Sources: Liver, nuts, dried beans and lentils, egg, nuts and peanut butter, dark green leafy vegetables. Iron: It works with sodium, potassium, and water to increase blood flow which helps to ensure enough oxygen is supply to both the mother and the baby. Sources: Dark green, leafy vegetables, citrus fruits, enriched breads or cereals, lean beef and poultry, eggs and dried fruits. Diet is important during pregnancy but it is a lot more important to make sure you’re eating a balanced and nutritious diet, so that, you and your growing baby can be as healthy as possible. Focus on the nutritional value of your diet and limit the intake of high fat, sugar, and sodium foods. Alcohol, excessive caffeine, raw meats and seafood, high-mercury fish, uncooked processed meats and unpasteurised dairy. Women have increased nutritional needs during pregnancy. They need more protein, iron, calcium, and folic acid than they did before pregnancy. They also need more calories. Although the old adage of "eating for two" isn't correct, a mom-to-be does require more micronutrients and macronutrients to support herself and her baby. It’s best to start adopting a healthy eating plan before pregnancy. No matter the number of weeks left on your countdown calendar, it’s never too late to start! Supplying your body with a tasty blend of nutritious food can improve fertility, health during pregnancy, and pave the way for an easier labour. Your body will gain weight during your pregnancy! Your weight begins to increase as gestational weeks progress. Take it as proof that the body is nurturing the growing baby. On an average the baby has to grow to weigh 2.75-4 kilograms and to accomplish these productive changes, pregnant women need approximately 350 extra calories per day during their 2nd and 3rd trimester of pregnancy than they did before they were pregnant. The ideal weight gain is usually 1-2 kgs in total during the first trimester and 1.5-2 kgs per month for the second and third trimester. Apart from eating well, it’s important to drink at least eight glasses of water per day. You should also consume enough prenatal vitamins. Myth: Pregnant women should be eating for two. Fact: It is true that nutrient needs increase, but energy requirements only increase by about 150 calories / day in the first trimester and 350 calories per day for the second and third trimester of pregnancy. Myth: Low weight gain during pregnancy will make delivery easier. Fact: Mothers who do not gain the required weight during pregnancy put their babies at a risk for severe complications. Complication like premature birth can cause lung and heart problems. Myth: If the right amount of weight is gained during pregnancy, none of it will be fat gain. Fact: A healthy pregnancy includes fat storage. A lot of energy is required during labor and breastfeeding which is used from these fat reserves. Myth: A healthy pregnant woman will not experience discomforts. Fact: Nausea, heartburn, and constipation are not biased! They will afflict women regardless of healthy living. However, women who regularly eat healthy food avoiding excess sugar and fat, drink plenty of water, exercise regularly may significantly reduce the uncomfortable symptoms of pregnancy. With over 17 years of experience as a Clinical Nutritionist Dt. Manjusha K. R is a pioneer in the field. She has done her Masters in Nutrition & Dietetics and is a Life Member of Indian Dietetic Association & Nutrition Society of India . 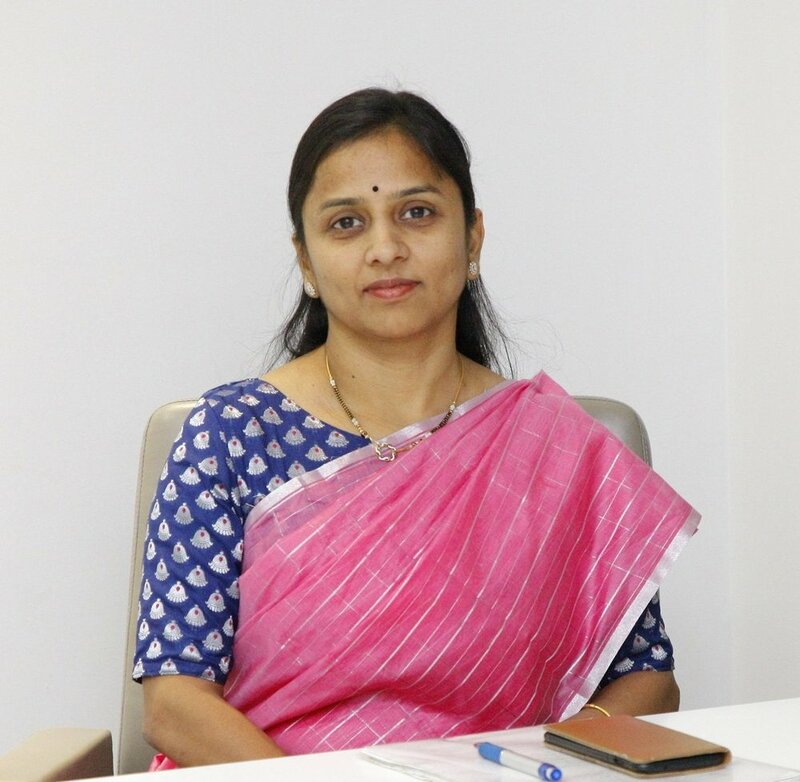 She started her career as a Lecturer in Nutrition and was working with different multi speciality hospitals from 2001. Since 2014 she is associated with the Birthplace. 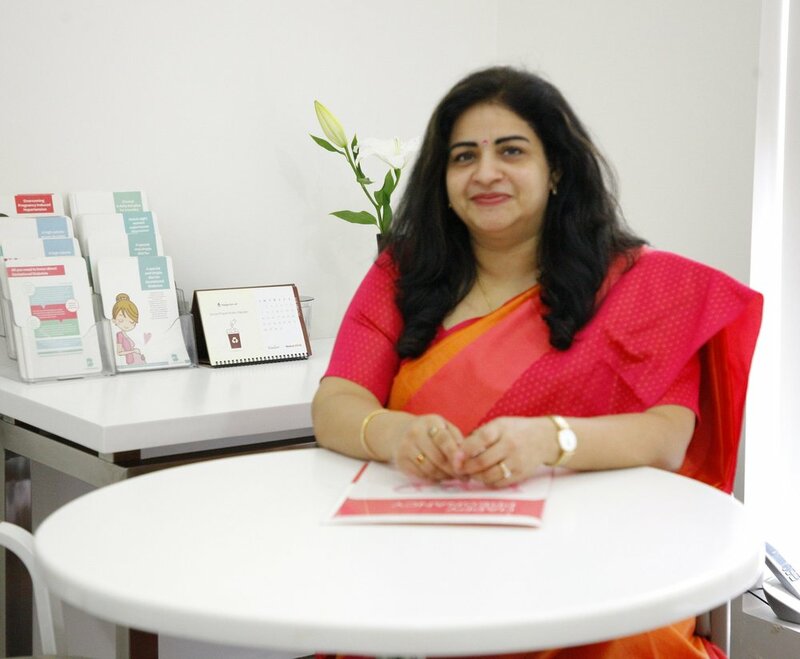 With her experience as a clinical nutritionist and her association with doctors & physiotherapists she is perfectly equipped to deal with prenatal, postnatal and pediatric patients through one-on-one counselling. Coffee is sometimes debated, as is fish. It is currently considered safe to drink up to one 12-ounce cup of coffee per day during pregnancy. Fish contains essential fatty acids which are important for your baby’s brain development but some fish are high in mercury which can cause birth defects in your baby. Avoid eating Shark, Swordfish and King mackerel. Shrimp, Salmon, Catfish, and Pollock on the other end are generally considered safe. Lastly, it goes without saying, avoid all alcohol and tobacco products during pregnancy for your baby’s healthy development.